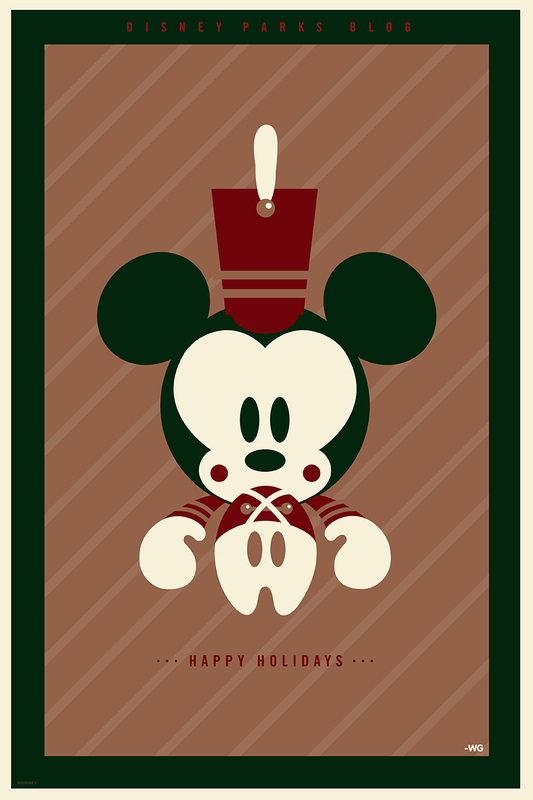 A poster I did for the Disney Parks Blog giveaway this holiday season. 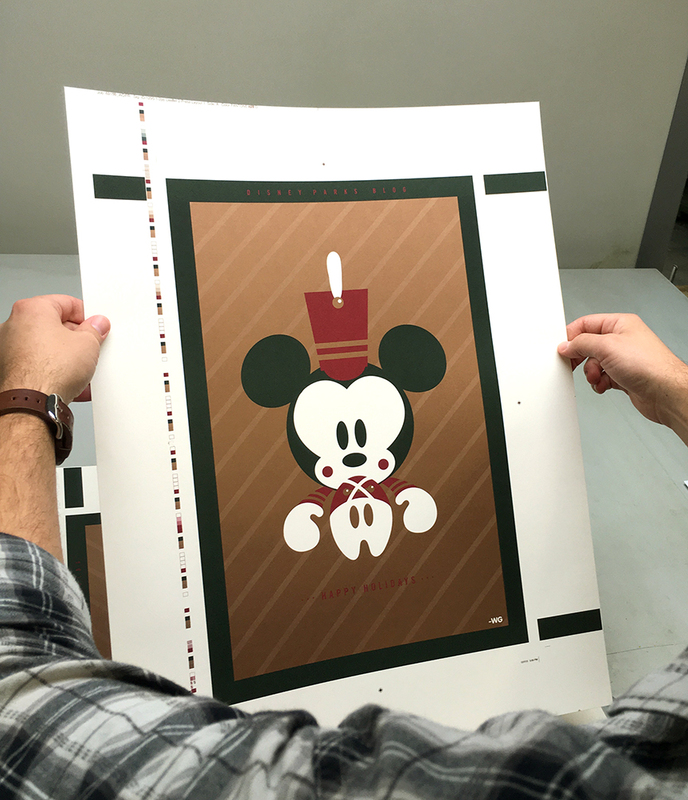 It was a 3 spot color job on creme paper. 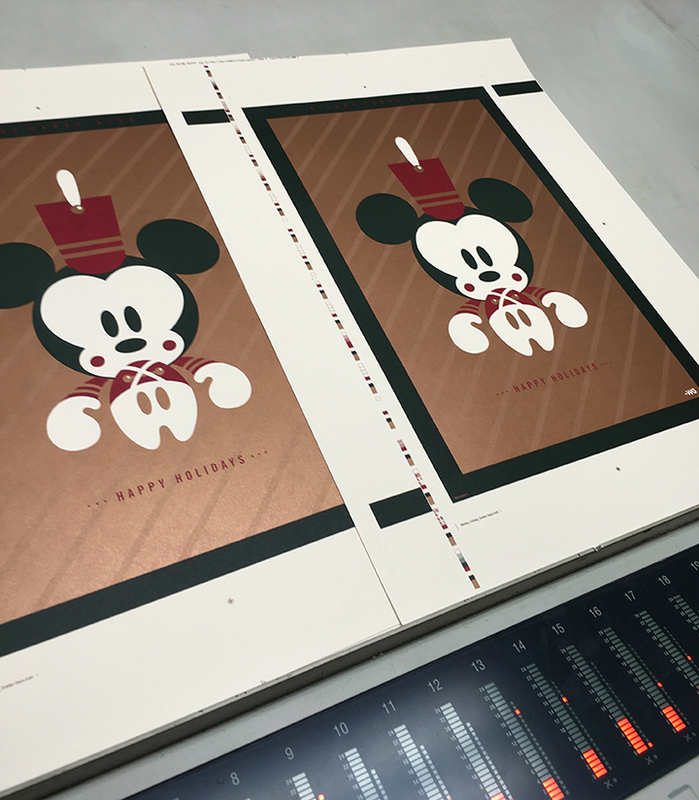 We even used metallic bronze ink with an additional pass to create the stripes in the background. Happy Holidays y’all!